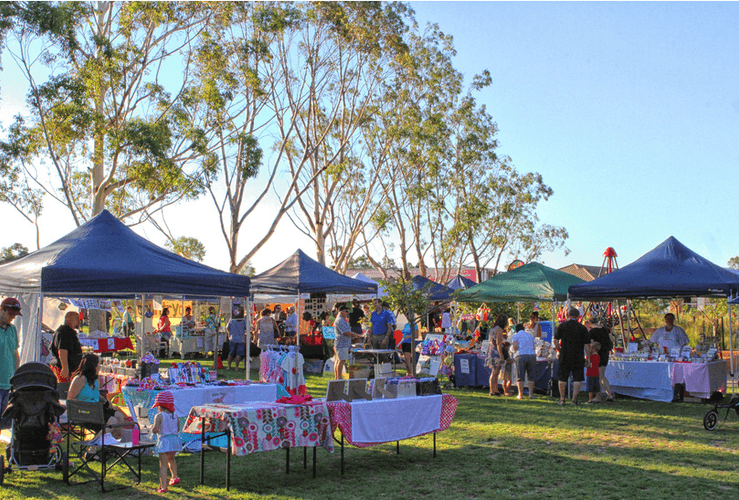 The Glades Arts and Produce Evening Market is a highly popular and well attended monthly event in Byford. It will be held at LWP Property Group development, The Glades at Byford. The market takes place at Percy's Park, Mead St, Byford on Saturday March 16, 2013 between 4 and 9pm. Hop along for our Easter themed Market! The Easter Bunny will be attending and handing out chocolate eggs, and kids can make an Easter basket free. Live music by Robo Mosquito. There will be a huge array of foods of all cuisines for dinner, snacks or dessert! Turkish, Thai, sausages, churros, cupcakes, pizza , kettle popcorn and more. Plus the usual and new hand craft and fresh produce stalls, with lots of variety. Find The Glades Arts & Produce Market on Facebook for more details.